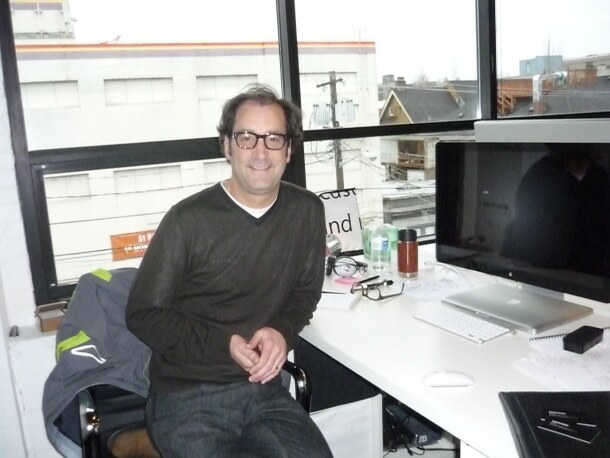 The man you see in the picture above whose name is Bill Flora, is a creative director at Microsoft and a key leader on the team that created Microsoft’s Windows 8 Metro interface. Apparently, Microsoft employees have their Apple evangelism on them too. Most Apple fan and Mac users have already noticed what’s in the picture. If you take a close look at Bill’s desk, he is designing Windows 8 using a Mac and has many Apple products on his desk such as including an Apple Cinema Display, a MacBook Pro, an Apple Bluetooth Keyboard and what appears to be a Magic Mouse.